We’d love your help. 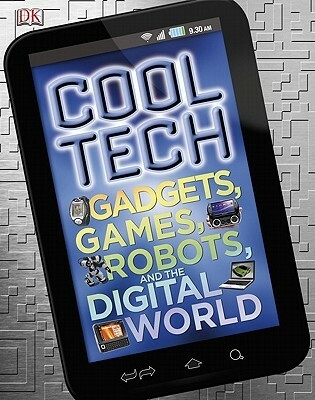 Let us know what’s wrong with this preview of Cool Tech by Clive Gifford. 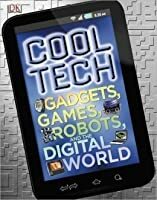 To ask other readers questions about Cool Tech, please sign up. This book tells a brief history behind our technology illustrated by their colorful graphics. It's not actually the book you might want to read if you prefer to go deep into each invention, but it's enough for those who want to know the basics. This book have allot of cool information from past to present, some pages they have behind those gadgets how it works with using everyday. I was vary amazing this book have allot of facts, history, behind Company (Major) and How is works! So what why its all about technology in our world. There is a problem some book like this one, they repeat same thing only a different view. I did bring 2 book and it a familiar view it was call Scholastic Discover More Technology with same author. However I do This book have allot of cool information from past to present, some pages they have behind those gadgets how it works with using everyday. I was vary amazing this book have allot of facts, history, behind Company (Major) and How is works! So what why its all about technology in our world. Enjoyable for all ages, has the insides of an e-reader and and iphone. Finally a little up to date. While Asher (9yo) didn't really read the whole thing - mostly skimmed through it - he thought it had some neat information. It had some cool facts in it about how to keep my computer safe.